If the presence of mineral extraction sites increases local conflict events; and if that relationship depends on the operational mode of the site. What is the profile of artisanal miners, and what are their coping mechanisms? How may the transformation of the mining sector affect individual-level determinants of participation in collective violence? In order to study these questions, we conducted four rounds of fieldwork in the gold mining town of Kamituga (read about Kamituga’s history here). “The social minefield of gold digging in South-Kivu, DRC: the case of Kamituga” 2015. IOB Policy Brief 10. “The social minefield of gold digging in Kamituga, South-Kivu” 2015. Amani Itakuya II Essay Series, essay 14. “Relocation, reorientation, or confrontation? Insights from a representative study among artisanal miners in Kamituga, South-Kivu” 2016. IOB Working Paper 9. “Rélocation, réorientation, ou confrontation? Aperçus à partir d’un sondage représentatif des mineurs artisanaux à Kamituga, Sud-Kivu” 2016. IOB Working Paper 10. 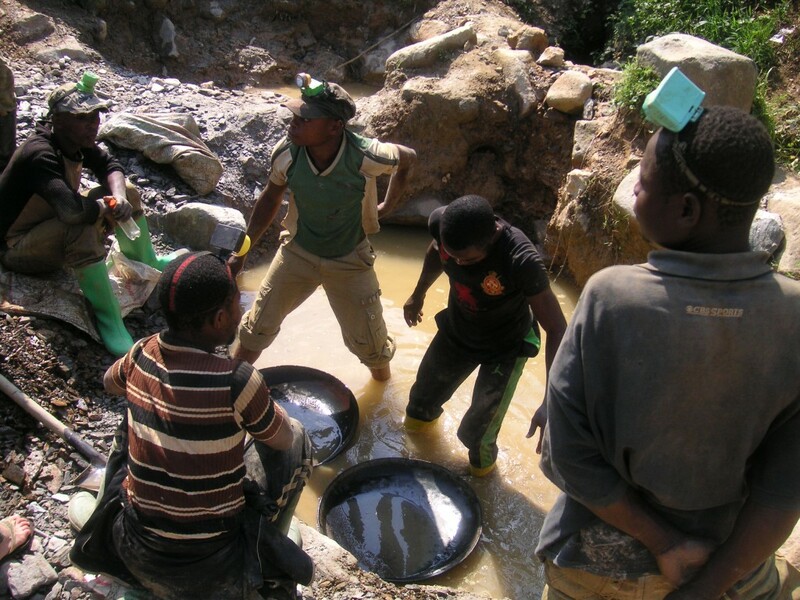 “Defusing the social minefield of gold sites in Kamituga, South Kivu. From legal pluralism to the re-making of institutions?” 2017. Resources Policy. “Would you rebel? An inquiry among high-risk youth in eastern DRC” Work in progress. Does the presence of mineral extraction sites increase local conflict events; and does the relationship depend on the operational mode of the site? “More legislation more violence? The impact of Dodd-Frank in the DRC” 2018. PLoS ONE. “Trump threatened to suspend the ‘conflict minerals’ provision of Dodd-Frank. That might actually be good for Congo” 2018. The Monkey Cage – Washington Post. “Artisanal or Industrial Conflict Minerals? Evidence from eastern DRC” Work in progress.